Auckland’s coat of arms was adopted in 1911. Its arms consist of a cornucopia (horn of plenty), reflecting the wealth of the land; a pick and shovel, symbols of mining in the region; and a sailing ship, showing the city’s close relationship with the sea. The closed visor in the crest represents Auckland City’s status as a corporation and the flowering plant is native flax. The supporters are kiwi (the national bird), and the motto is ‘Advance’. The New Zealand flax is Phormium tenax J.R.Forst. & G.Forst. (Maori, harakeke). 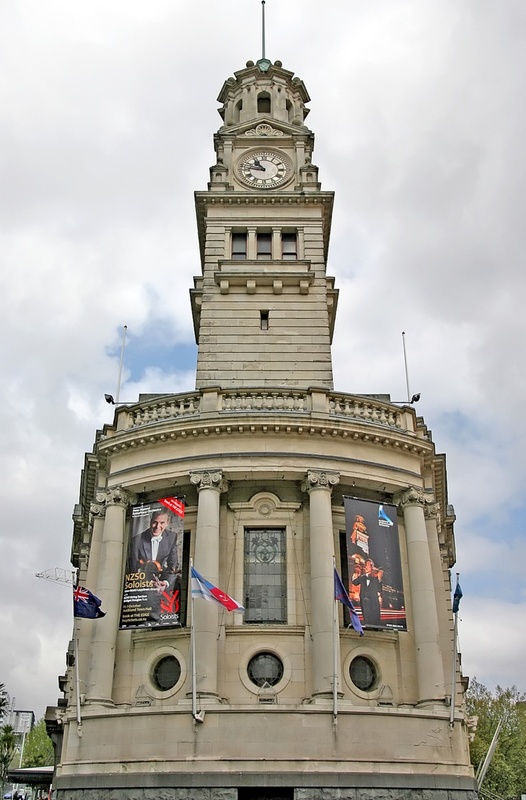 I've just been watching a news item on the inauguration of the new "Supercity" Council for Auckland in New Zealand (the four cities which make up the Auckland Urban Area have been combined into one, controlled by a single council - a similar scheme to the UK's Greater London). During the news item there was a brief view of a city council flag - unfortunately not long enough to get a clear image of it, but enough for the basic details. 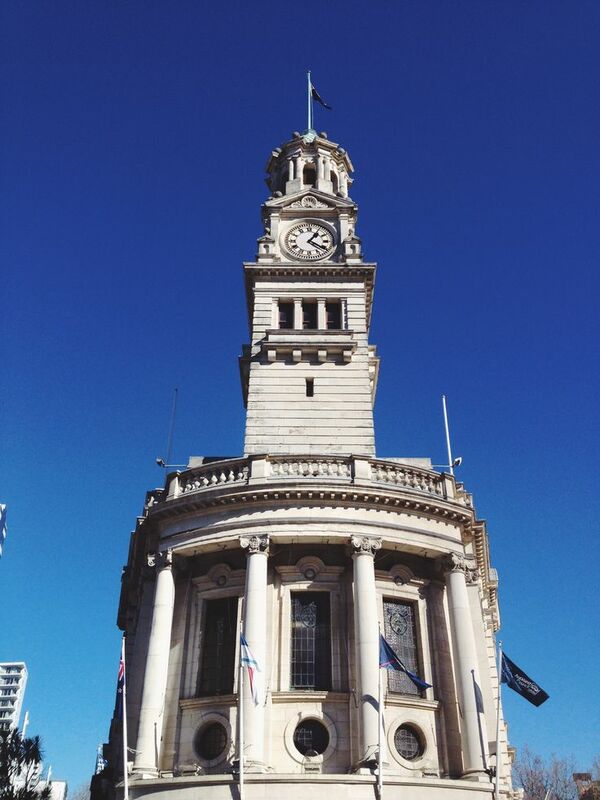 The flag is blue, with a stylised polutukawa flower in white towards the hoist, and loads of writing printed across the rest of the flag (the top line said "Auckland City Council", but the image wasn't there long enough to make out the rest. An image of the pohutukawa emblem can be seen at http://www.designassembly.org.nz/new-auckland-council-logo-is-revealed, though I have yet to find an image of the flag online. The usual sport’s fans flags are quartered white and navy blue. White, Blue and Red are the colours that are used in regional sports uniforms, particularly those of rugby. The blue used by Auckland is a very dark colour ( ) — it appears almost black from the distance; it is much darker than the one on the national flag ( ). I've heard it called "midnight blue", which is probably a pretty good description. Auckland City (NZL - OFC) competed in the FIFA Club World Cup in Morocco in 2013, using a flag with the shield centred.